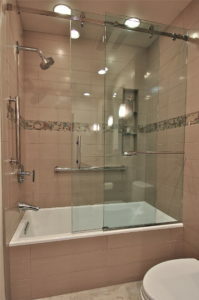 This is truly our specialty. 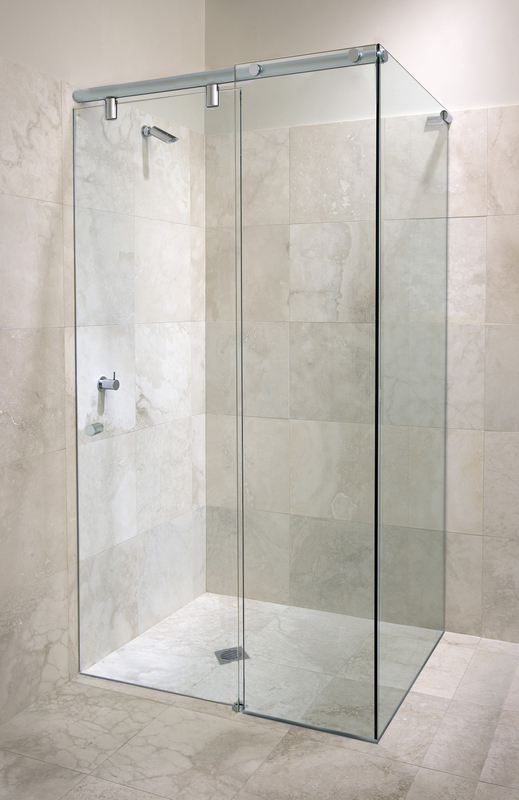 Ditch the out-of-date shower curtain and renovate with a frameless shower door. We can help give your current or newly renovated bathroom a brand new modern look that impresses. 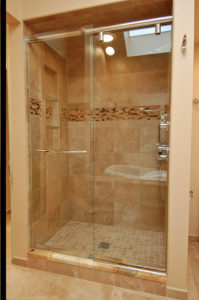 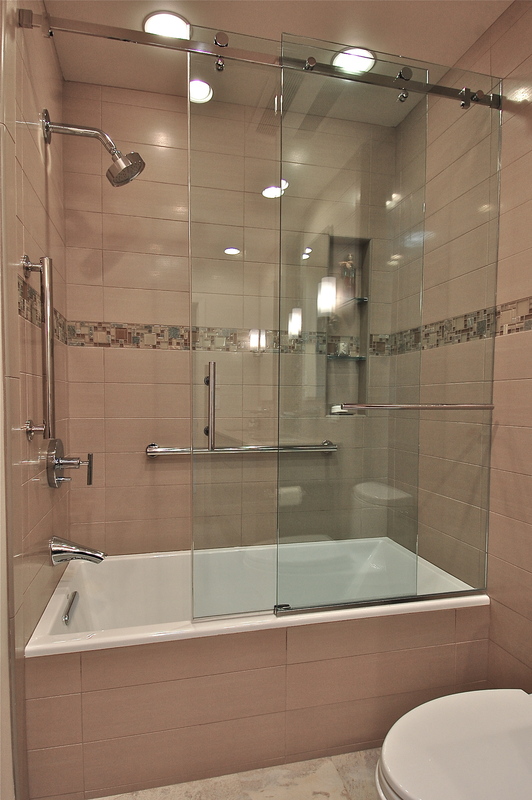 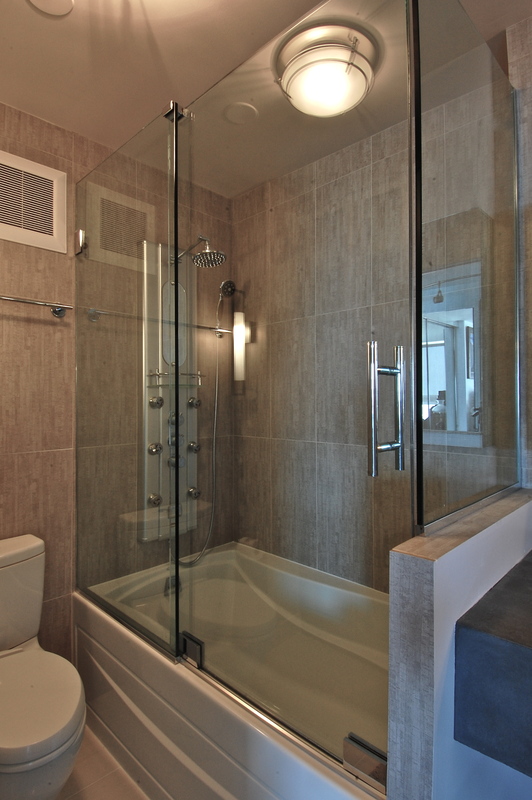 Your bathroom will feel more open and airy compared to a traditional curtain or framed glass shower door. 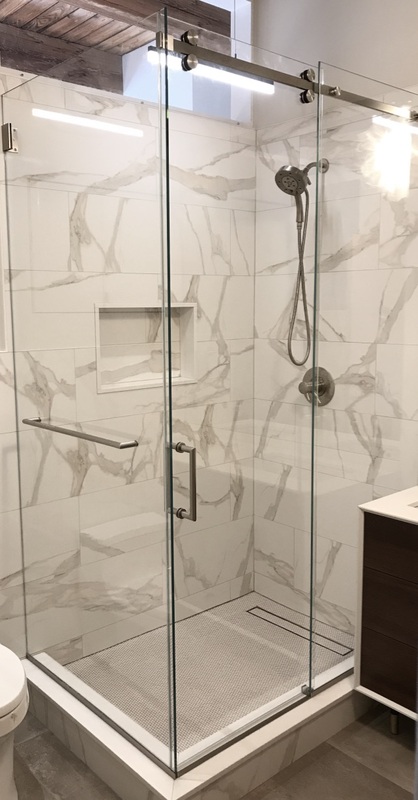 With different types of tempered sheets of glass, frameless shower doors give you the opportunity to completely change the layout or construction of your bathroom. 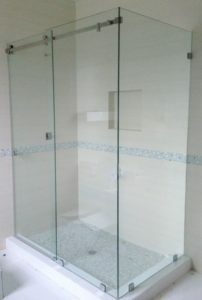 This custom enclosure is utilizing starphire glass. 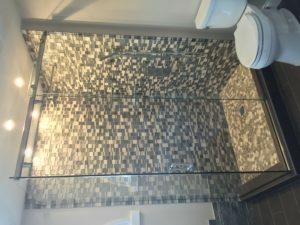 Starphire glass is a low iron glass that was designed to remove the green hue that the traditional clear glass leaves — Highly recommended when you have white tile or a decorative tile that you are looking to showcase. This steam unit was designed for a steam shower, which means that the glass was brought all the way up to the ceiling to contain the steam. We also incorporated an operable transom above the door to occasionally provide ventilation. 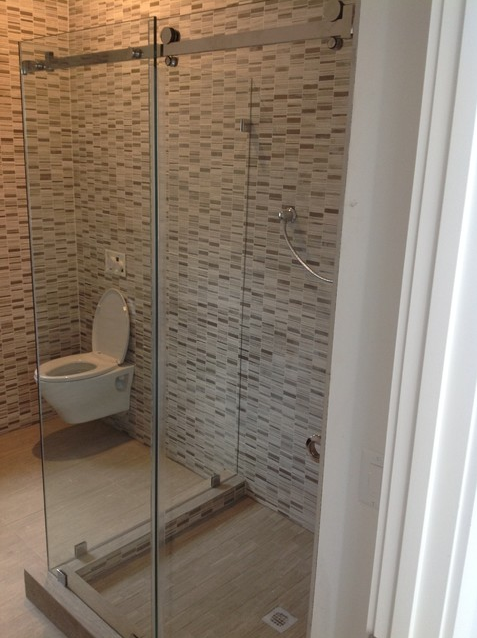 What a great addition to the bathroom. 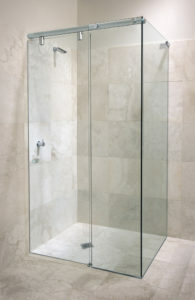 This 2-peice unit was installed using clips instead of the traditional channel. 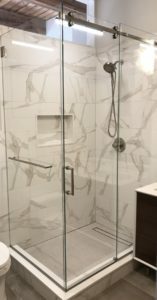 This is a great way to have an even sleaker design to your shower but yet still have the same amount of structural support. 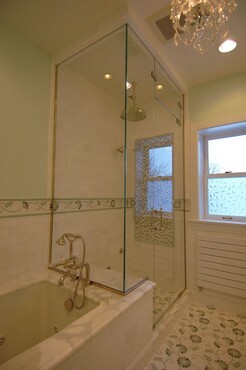 Chicago glass and mirrors did a Fantastic job with the installation of my bathtub glass enclosure. 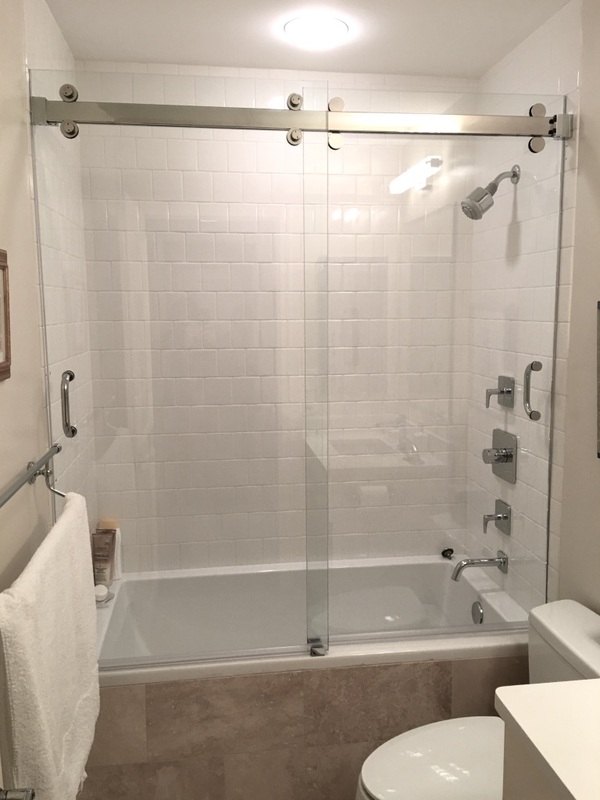 I was very happy with the whole process and I can safely say that I would recommend this company to anyone who wants to experience professional and quality work. 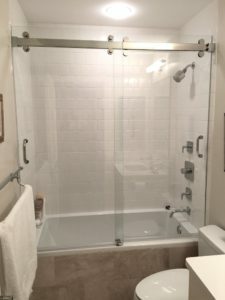 We’re moving into a new home and discovered that we needed a glass door for a guest bathroom. 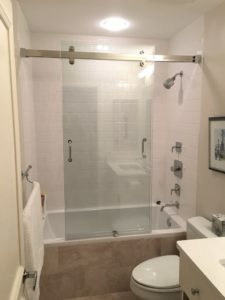 Chicago Glass & Mirror was amazing: from our initial meeting at the store with Simon & Frank B, through the installation with Jason & Francisco who were all professional, competent and knowledgeable. 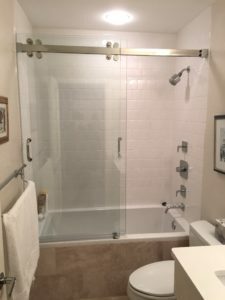 They were fast and affordable, and I recommend them to anyone who needs their products. 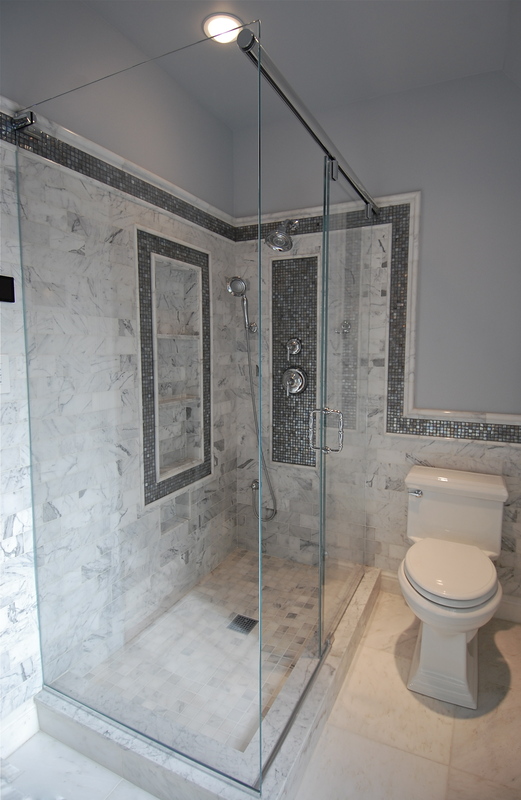 My wife and I just completed an extensive renovation of a vintage apartment . 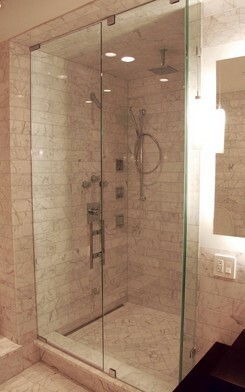 Of all the subs involved in our project, CG&M brought superior consultation, materials, installation and followup. 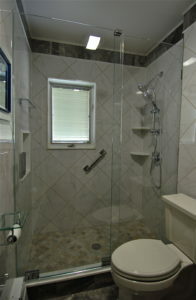 Simon was great to provide options and was timely in his scheduling, the price was exactly as quoted. AND they were on the job when they scheduled. This is a GREAT resource!